RAMP FOR FURNITURE & LIGHT EQUIP #2000 LB. MAX. NEEDS 2"BALL. INSIDE DIMENSIONS = 10' L X 6' W X 34"H RAMP 700LB EMPTY WT. 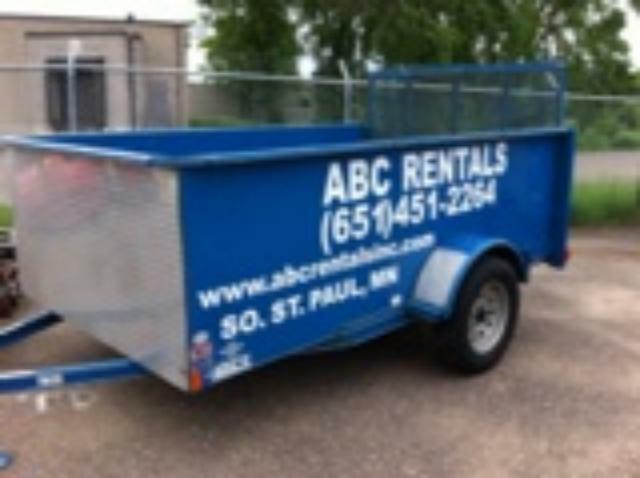 * Please call us with any questions about our trailer 6 foot x 10 foot open w/ramp rentals in South St. Paul MN metro area.